The Illinois Shakespeare Festival has announced plans for its 40th anniversary season, taking place next summer at Ewing Cultural Center in Bloomington. The 2017 summer season will include one bona fide Shakespeare play and two adaptations. The real-live Shakespeare play will be A Midsummer Night's Dream, always a popular choice. This magical comedy, full of fairies, foolish mortals in love and an amateur acting troupe trying to put on a terrible play, will open the season on June 30, playing till August 11. 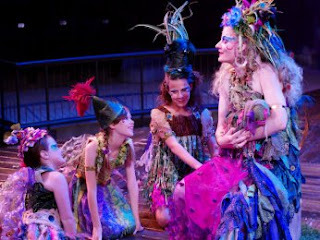 An image from the 2009 Midsummer directed by Deb Alley. Photo by Pete Guither. A Midsummer Night's Dream was first done at the Illinois Shakespeare Festival in 1980 and has been well represented here ever since. I have good memories of the hilarious 2002 production directed by Karen Kessler, where Puck looked like a tiny pony, as well as the sultry 2009 Cajun-flavored Midsummer directed by Deb Alley. What will set the next Midsummer apart? 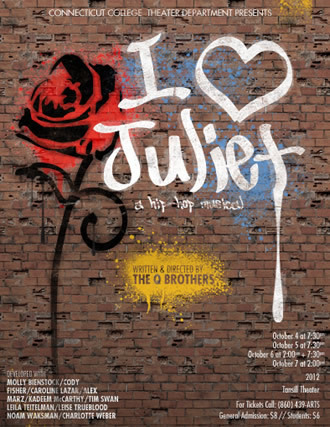 Illinois Shakes says: "Our family-friendly production of Shakespeare's world-famous comedy follows four young lovers into an enchanted forest for an unforgettable journey of trickery, laughter, and love. Featured in this production is a musical Puck, whose original score is sure to cast a spell on you!" The Illinois Shakespeare Festival has a tendency to offer one comedy, one drama and one "other." This time, there are two contenders for that "other" spot, with Chris Coleman's Shakespeare's Amazing Cymbeline the first. 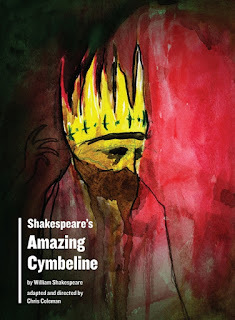 Coleman is the artistic director at Portland Center Stage in Oregon, and his six-actor adaptation of Cymbeline, produced at PCS in 2012, represented the first time Shakespeare was performed by that theater. The image below is from that production. In Coleman's take on Cymbeline, one of those six performers, a musician, serves as the narrator to keep all of Cymbeline's wandering plot threads together. The important thing to note is that Cymbeline, the King of Britain, isn't that important a character even if he does get the title. It's Imogen, his daughter, whose story you'll need to follow. Dad's evil wife wants to marry Imogen off to her cloddish son, but Imogen is already secretly married to a guy named Posthumus. Because of the marriage, Posthumus is banished, whereafter he makes a stupid bet concerning his wife, is fooled by a bad friend (bed trick alert!) into thinking she's unfaithful, and decides to kill her. But our Imogen is no dummy and she dresses as a boy (cross-dressing girl alert!) and goes on the lam, where she accidentally runs into her brothers, who were kidnapped when they were little. And the clod (his name is Cloten) is on her trail, too. By the time it all gets sorted out, there is a headless body dressed in someone else's clothes (mistaken identity alert!) and an appearance by the god Jupiter to promise everything will turn out OK.
By my count, Cymbeline has only been done twice by the Illinois Shakespeare Festival, making it a rare choice. If you need to check Cymbeline off your bucket Shakespeare list, this is the time, even in its reduced, six-person state. It will be performed between July 1 and August 12, 2017 in the outdoor theater at Ewing. Tickets to all three of these Illinois Shakespeare Festival offerings will go on sale later in 2016. Keep an eye on the Illinois Shakes website and Facebook page for details.